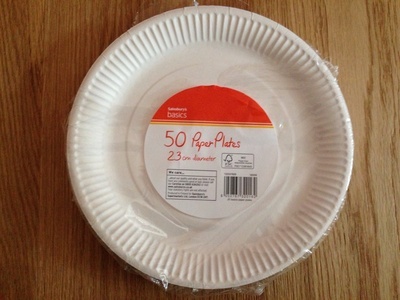 A pack of paper plates is a 'must have' in any kids craft materials box. They have endless uses and can be picked up cheaply from any corner store. Start your own farmyard with this rocking chicken by Claire. You got mail! There is lots of play potential after you have finished the craft stage with this paper plate mailbox by Crafty Kids. This lovely paper plate rainbow by Natasha will brighten up an kids room. Recycle some bubble wrap to create this great giant sea squid by Carolyn Hopping. Practise fine motor skills with Janine's spider in a lacing web. There are endless possibilities for making masks and puppets. Check out this fab lion mask by Kathe. Get crafty and learn about letters with this alphabet plate activity by helenonthesofa. EricaL's paper plate jelly fish make a great craft project for a rainy day. If you're helping a child to learn how to tell the time, have fun making and decorating a paper plate clock. We love this little chick handbag by Lucy - a must have fashion accessory for any preschooler! 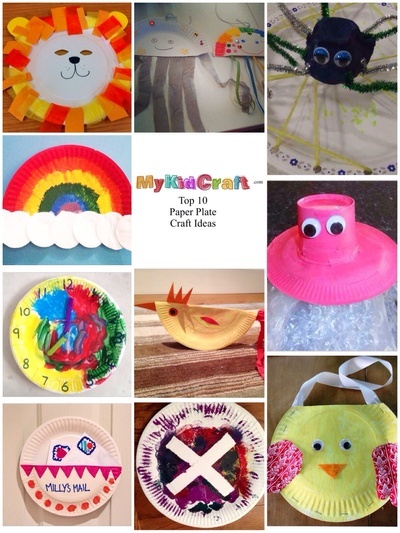 Do you have a great paper plate craft idea? Why not become a MyKidCraft writer and share your project. Click on "Write For Us" to set up a writer profile.